Every bath time promises an adventure under the sea! When Kady gets into the bathtub, waves appear, and they get bigger, and BIGGER, and BIGGER! Kady can’t help but sing the bathtub song: Imagining the ocean, I can see / waves in the bathtub here with me. / I see creatures big and small. / Lots of fish! I like them all.” Kady likes walruses and pelicans, big whales and little snails. When she sings, a magical world comes to life beneath the waters. Kady rides dolphins, swims with otters, and even snuggles a polar bear. Her bathtub world is filled with fishy friends and exotic water creatures. 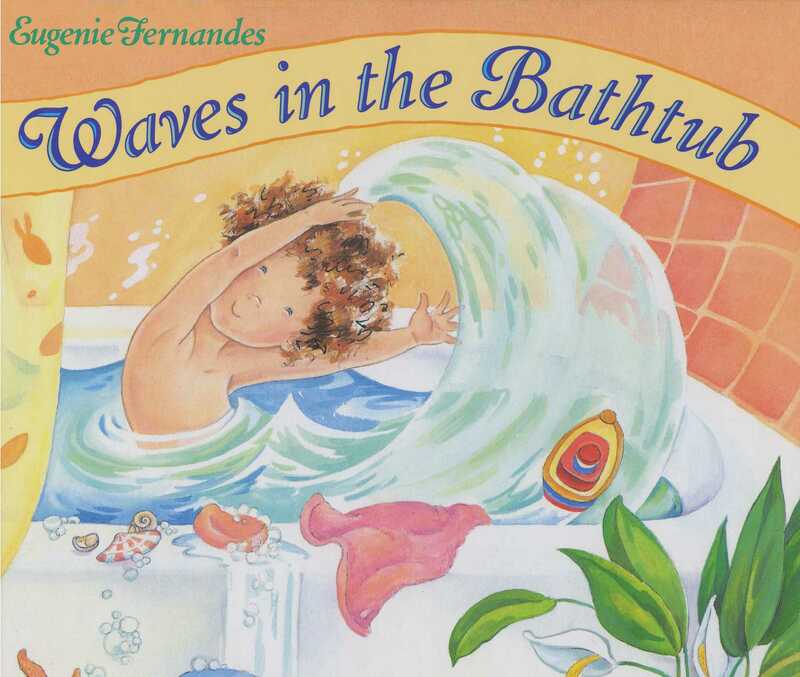 This book is perfect for tickling the imagination and getting children excited about bath time. Eugenie Fernandes’ fun-filled illustrations give little readers all kinds of things to look for and pay attention to. Kady’s cat is right beside her in every picture, and whether she’s being captured by an octopus, riding an orca, or just playing with Kady’s toes, she’s sure to bring a smile. Wonderful details will make this a go-to picture book that children will want to pore over time and time again. Sheet music for the simple song is included at the end of the story.